Matthew Bramble, a gout-ridden misanthrope, travels Britain with his nephew, niece, spinster sister and man-servant, the trusty Humphry Clinker. In poor health, Bramble sees the world as one of degeneracy and raucous overcrowding, and will not hesitate to let his companions know his feelings on the matter. 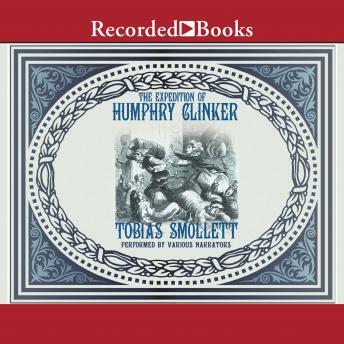 Peopled with pimps, drunkards, decadents and con-men, Humphrey Clinker displays Smollett's ferociously pessimistic view of mankind, and his belief that the luxury of eighteenth-century England existence was the enemy of sense and sobriety. Presented in the form of letters from six very different characters, and full of joyful puns and double entendres, Humphrey Clinker is now recognized as a boisterous and observant masterpiece of English satire.